This product is a 100% natural anti-aging cream. It is a nice thick,creamy and white. It is packaged in a generous 4 oz. jar. Only a a small amount needs to be applied on your face and throat. A little goes along way. This is a really good anti-aging wrinkle cream. It contains Alphs Lipoic (ALA) and carrot seed oil. ALA is both fat and water soluble. That means that the ALA is easily absorbed through the skin. ALA is 400 times stronger than Vitamin E and Vitamin C combined. This product also contains other really good ingrediants for your skin. It contains grapeseed oil, Organic Aloe Vera Gel, Organic Glycerine, Cetearly alcohol (derived from organic coconut oil without the use chemicals), organic honey. 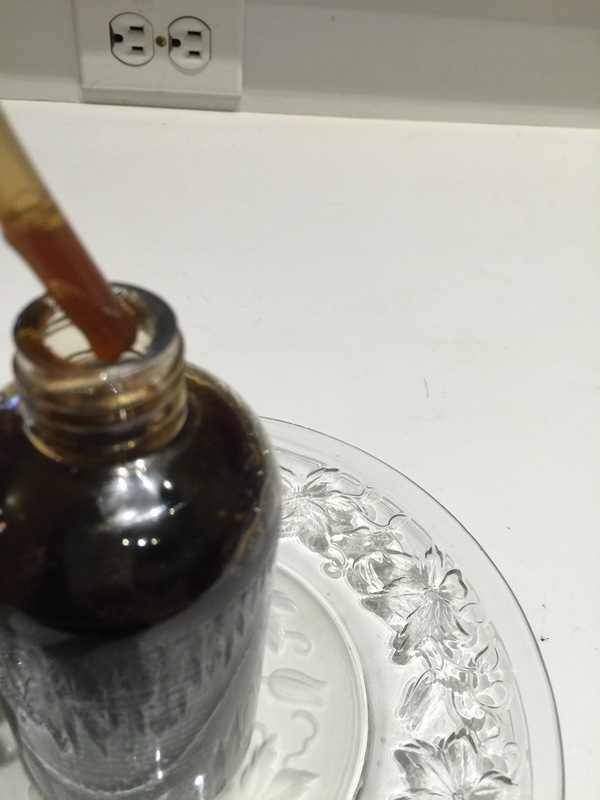 Organic blue green algae, organic carrot oil, ALpha Lipoic Acid , Cellulose, organic raw honey, organic raw sugar. Sea salt and Wild Harvested Aspen Bark. These product are all really good for your skin. This anti-aging cream once applied is light and you don’t even notice you are wearing the moisturizer. You only need to apply a small amount (little dabs) on your face and throat and just blend it into your skin until it is completely absorbed. This anti-aging wrinkle cream should last for a few months unless you use it on your hands like I often do. I have been using this product for over two weeks and am very pleased with the results. My skin feels really moisturized, smooth and plump. I still have a few fine lines and wrinkles, but they are less noticible. And I do realize that this product will plump up my face, make it more smooth and plump, but nothing will completely take away my fine lines and wrinkles. I have sensitive skin and this moisturizer really helps me improve my skin. My facial skin is no longer dry and flakey. I love this product and recommend it. Great product! I purchased this product at a discount price in exchange for my honest and unbiased review. 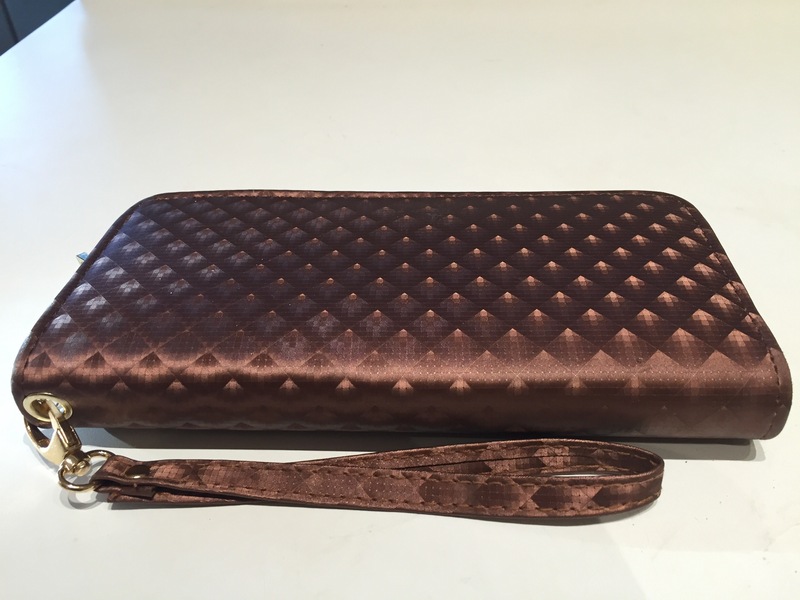 Since receiving this new clutch wallet, I have stored away all of my handbags. I now exclusively use this light weight clutch wallet. It’s a medium brown color with a really nice silk like fabric. Not sure what the material actually is made up of, but it’s definitely very nice. The outside material has a nice slim under padding. Just enough padding to add to the comfort of the product. It also has a removable strap to put around your wrist leaving your hands free. I really like that I don’t have to have my cell phone clipped to my belt loop. I’ve always thought my cell phone might fall off the clip. 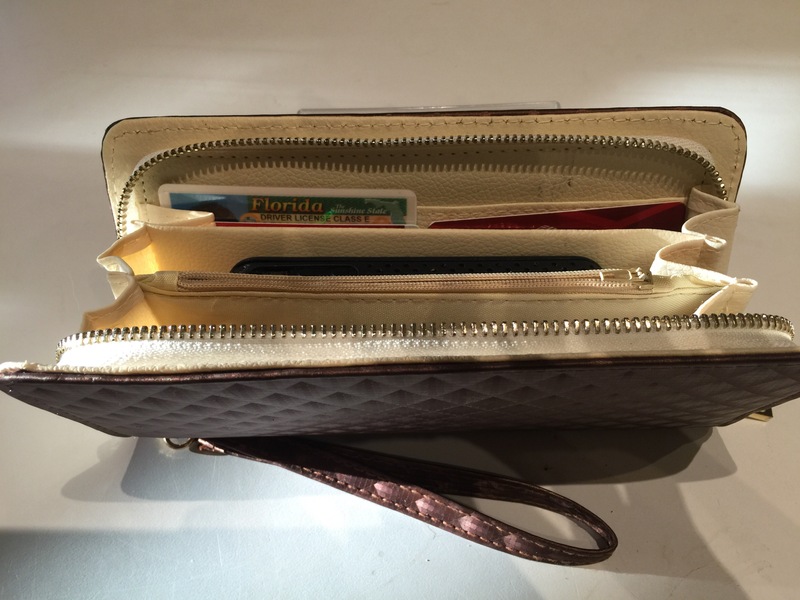 The outer zipper is sturdy and keeps the contents of the clutch inside secured. It also has an area inside that can easily hold my IPhone 6 Plus. On either side of the inside there is an area has slots that can hold several credit cards. There is also an inner zipped area that could hold money. I love coming home from shopping and not having my arm ache from carrying my heavy handbag. I have received this product for free in return for my honest, unbiased review. These hooks came in a package of four. All four of the metal hooks came individually attached to a clear, round plastic disk. The back of each disk has an electrostatic adhesive which can hold up to 22 pounds. I didn’t realize at at first that I needed to take off the protective film from the back of the four hooks. The protective film is pink. I was wondering why the clear plastic hooks looked pink and that is why. You need to take the pink protective film off the hooks. These hooks can be installed on any smooth surface such as wood, glass, plastic, stainless steel and even your walls. It is not recommend to hold heavy items on painted walls. Using on painted surface might remove the paint from the surface, such as your painted walls. I found it very easy to apply a hook to the back of my bathroom door and then put my curling iron on it. It worked great. The curling iron has been taken off and put back on the hook atleast ten times in the past six days. 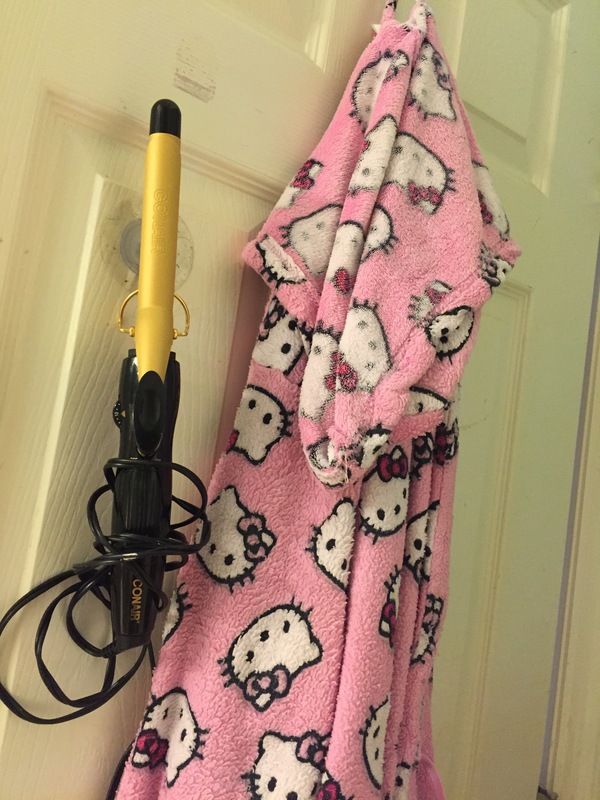 The products work very well to hold up my curling iron and three of my handbags in my closet. If you decide you want to move the object that you have on one of these hooks you just gently pull the hook and plastic disk off. If you do not want to use the hook, it may be stored and reused at a later date. 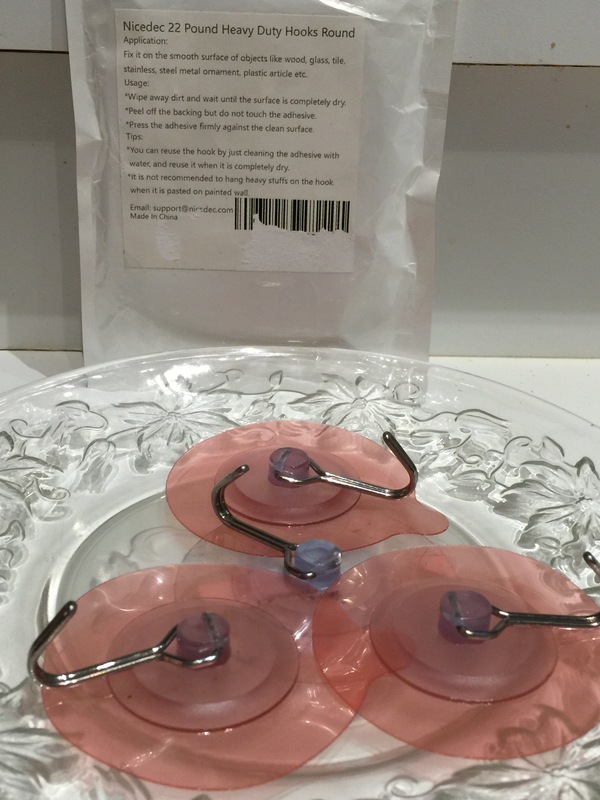 It is a good idea to keep the envelope that these hooks came in and also store the pink plastic backing that you originally peeled off the back of the clear disk. The hooks can be used and reused many times. Great product! I purchased this product for a discounted fee in exchange for my honest and unbiased review. This is a really nice coffee scented multi-purpose product that can be used as hair shampoo, body wash and a bubble bath. This product is 100% pure and natural. It has a naturally scented coffee smell. I love the sent of coffee, especially first thing in the morning. I just wish I could drink a full cup of coffee,but even decaffeinated coffee bothers me. I can only drink one cup of decaffeinated coffee a day. So this is the next best thing. If I can’t drink it well at least I can was myself with it. The caffein in coffee is good for your hair. There is even caffein in coffee shampoo. Caffeine may help men and women regrow some hair. Research published in the International Journal of Dermatology concluded that caffein is a stimulator of human hair growth. 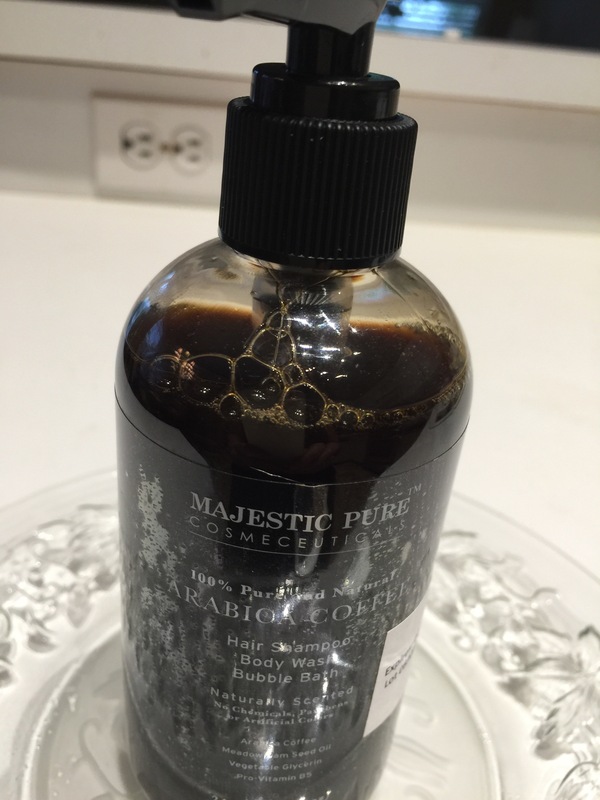 This coffee shampoo is good for you because it has coffee in it which has a wonderful scent, but it also has Meadowfoam Seed Oil and Pro-Vitamin B5, all which are very good for your hair and scalp. No chemicals, parabens, or artificial color were used in the making of this product. This product is made with the following ingrediants – Arabica Coffee, Meadowfoam Sea Oil, Vegetable Glycerin and Pro-Vitamin B5. 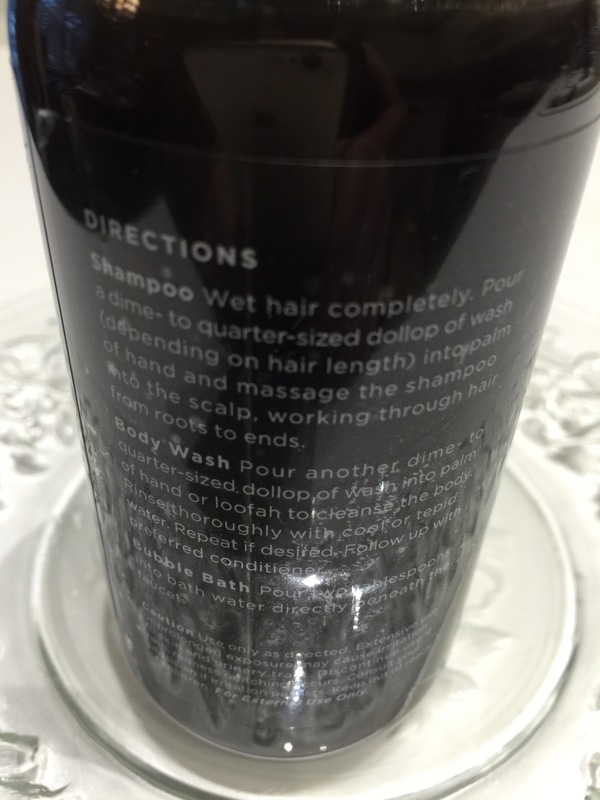 This shampoo does contain some sulfates. I try not to use a shampoo with sulfate in it too often. The sulfates dry my hair and make me have flyaways. So I will just use this product once a week on my hair. I had no problem with my hair after using this shampoo. I shampooed my hair with this shampoo and also used it as a body wash. After towel drying my hair I noticed my hair felt soft and was clean and shiny. No fly away hair or dry hair. I think this is because of the Meadowfoam Sea Oil and the Vitamin B5. This Arabica Coffee product has an experiation date. I’ve never seen an experiation date on any shampoo, body wash or bubble bath. It actually has a two year shelf life. I really enjoy the coffee scent of this product and how it cleaned my hair and body. It’s only in an 8 oz. bottle so it will be needing to be replaced in a couple of months or so. It doesn’t take much to make a lather on my washcloth. I only use about one or two quarter size amount of the coffee shampoo. It lathers up really well, but then the lather is quick to lessen. My skin was no longer dry. It was now soft and smooth. After showering, my skin and hair had a light coffee scent. The scent only lasted for a short time. If you use this product as a bubble bath, it is recommended to not use it too often. Prolonged use can cause irritation or a UTI. Just use two or three capfuls in your bath water and don’t take a bubble bath too often. I thinks it’s the same for at lot of bubble bath products. I think this is a very good shampoo. I would recommend it to anyone who enjoys a nice cup of coffee. And wants there hair to be soft and manageable. Great as a body wash too. I purchased this coffee shampoo at a discounted price in exchange for my honest and unbiased review. This is an extra large backseat organizer made out of a really heavy duty, thick nylon material that has a water proof covering. It is very well made and designed. I love the cute green dinasour on the botton zippered compartment. I know my eight old grandson and my six month old granddaughter will like the green dinasour character too! 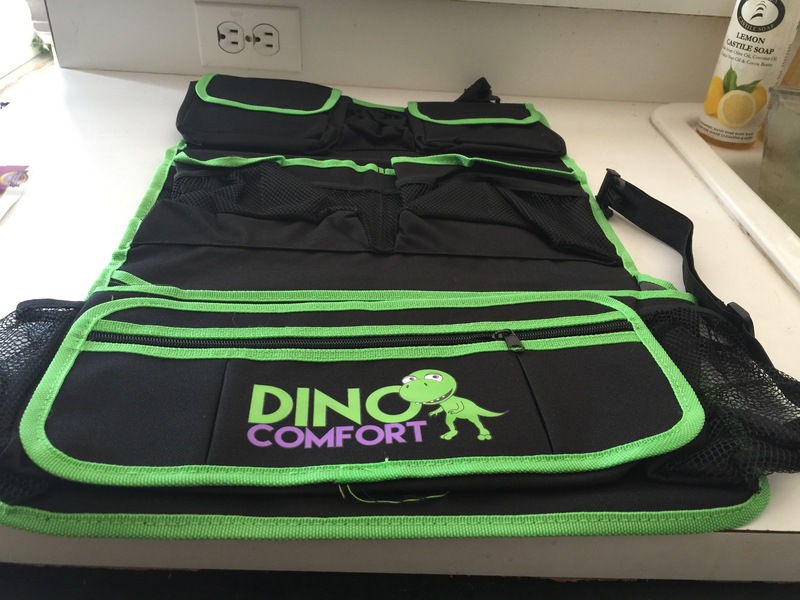 The basic color of this product is black with green trim and a small green dinosaur on the bottom compartment. The top two pockets have flaps with Velcro closures. 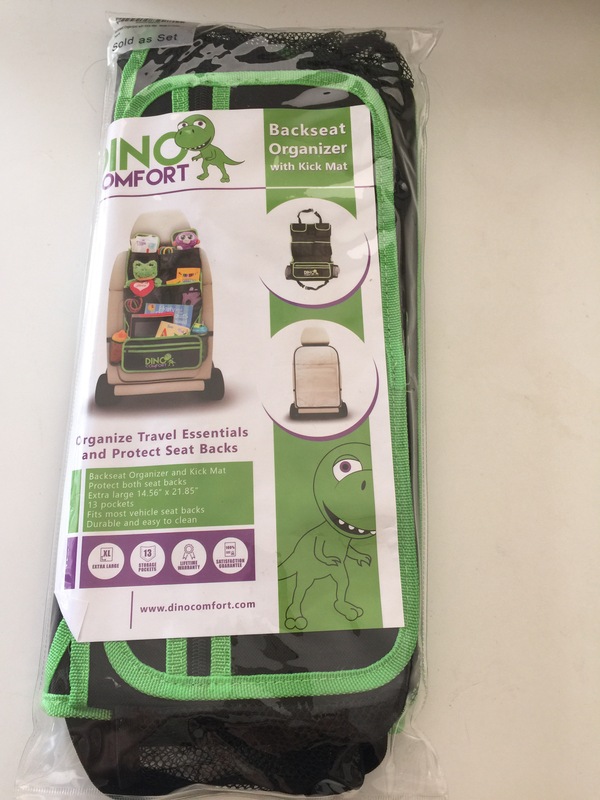 The bottom zippered compartment has two large strips of Velcro on it to keep it secured to the main back seat organizer or you can take it off and bring it with you. I don’t think I would use it as a visor. The demensions of the organizer are 14.56″ x 21.85″. It has 13 pockets to put items in. This product was very simple to install. I just pushed up the head rest and secured the thick, nylon strap around it making sure it’s facing the back and just click together the big sturdy, heavy black buckle. So the organizer would be facing the back seat. 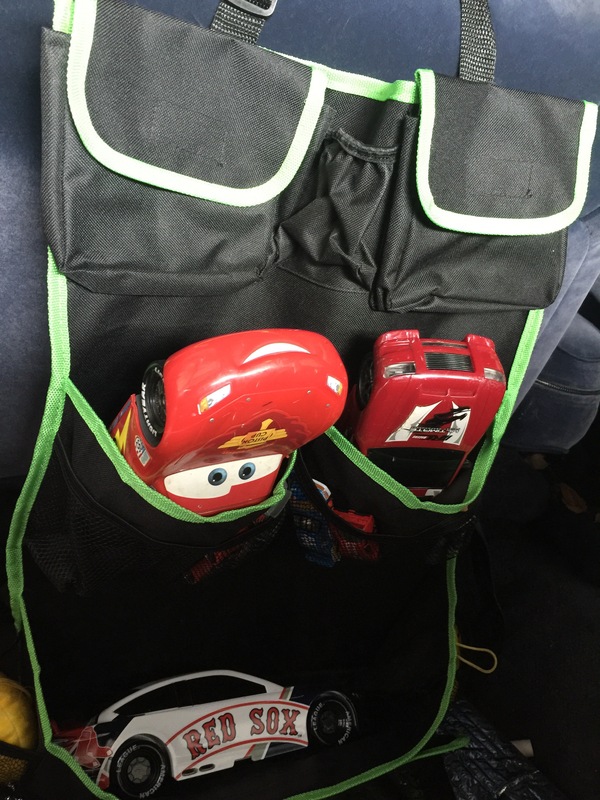 The backseat organizer is nice and roomy and can fit various toys, little books, wet ones to clean up little messes, etc. When my grandchildren visit they will have it filled with their special toys. I can already see that it will be great to keep my car more organized. I don’t think I would put this back seat organizer in the washer. I would just spot clean it with probably a facecloth and a little warm , soapy, mild detergent. Then wipe clean and dry. The sturdy, thick, but yet pliable see thru plastic kick mat is great to install on the back of the other front car seat. I think this product is a great organizer for me to use when they are back up north with their parents. This extra large car seat organizer is very well made, sturdy and definately made to last. Also this product comes with a lifetime warranty and a satisfaction guarantee too! Great organizational product. 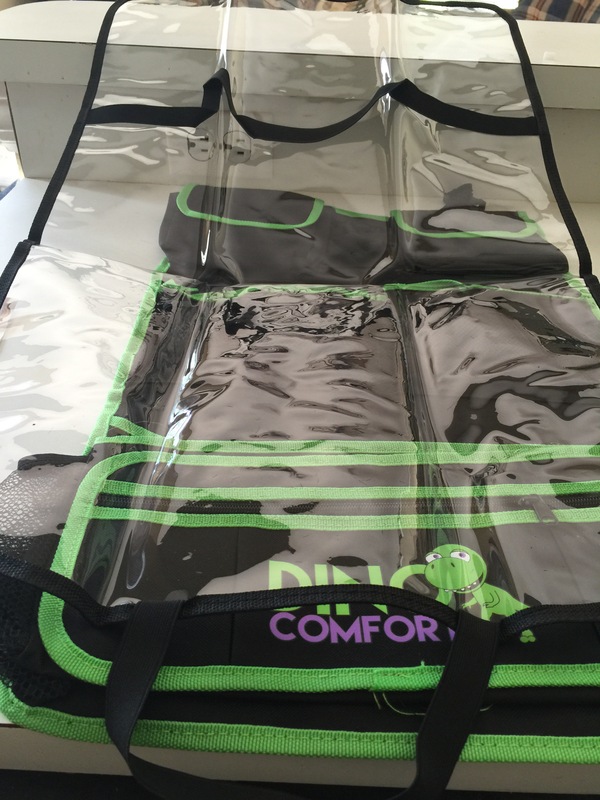 This Dino Comfort backseat organizer even comes with a satisfaction guarantee, life time warranty, which to me is pretty impressive. 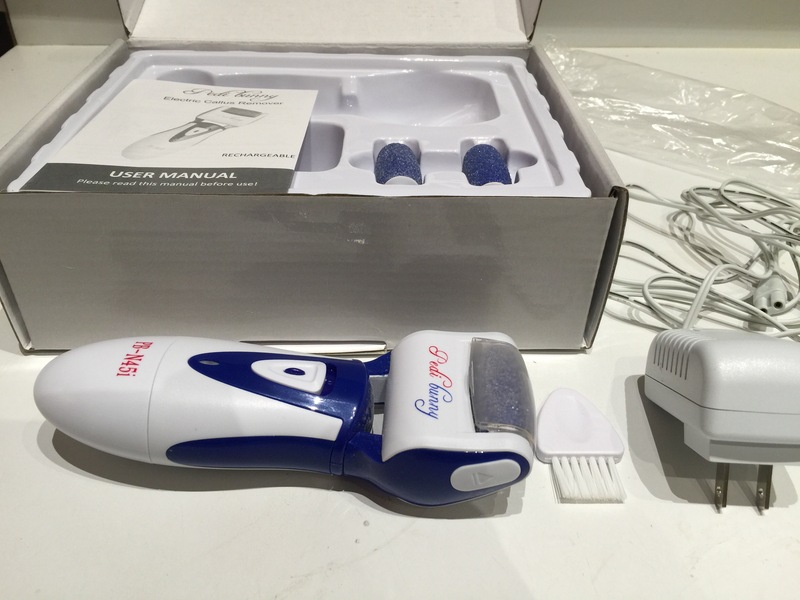 This electric foot file is terrific! It comes with three pumice rollers, a clear plastic cover to put over the pumice roller when it’s not in use, a universal charging cord and a small brush to clean the pumice roller. To use this product for the first time you should plug the power cord into an outlet for approximately 8 hour to get maximum performance. Once charged you can use the electric foot file for over 45 minutes without having to recharge. Another great feature is once you have the electric foot file charged you remove the power cord and the electric foot file is cordless. Also, you don’t have batteries to replace, you just recharge the foot file with the power cord. 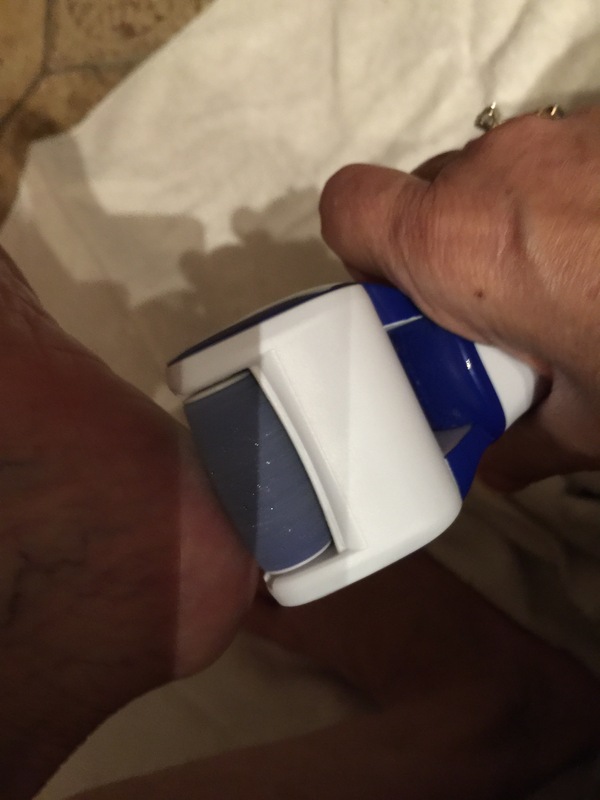 Once I had charged the electric foot file, I then used it for about 15 minutes and it left my feet really smooth and callus free once more. My heels were also dry and had fine cracks and this product solved that problem area too! Also, you will need take off the roller to clean under neath the roller. There you will find a light dust (fine particles of dead skin) and jut dump it out over a trash can and then brush the roller and the part underneath. Next wash the roller in the bathroom sink under running water and also clean the part under the roller that had collected the dust. 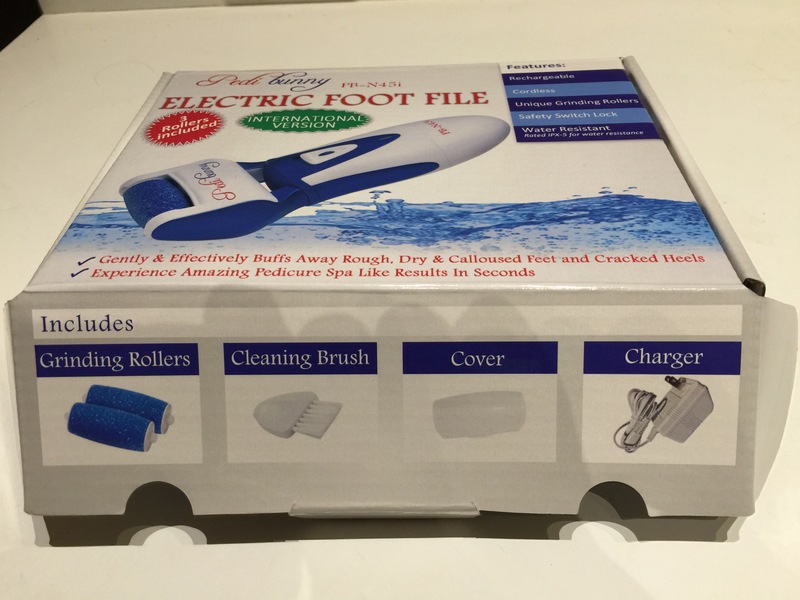 Be sure not to emerse the electric foot file in water because this product is only water resistant and you will damage the electric foot file. This product also has a safety switch lock. Rally good if you have children and they try to play with your foot file. It took me a few seconds the first time I pushed the switch up to turn it on. I realized then that I had to push I. The little blue button and then push the foot file up to turn it on. That is a good safety feature. Another good safety feature is that if you press down to hard on your skin it will stop working. Also, did I mention it has really good power to get the job done. I will get tons of use out of this foot file since I live in Florida and go barefoot around my home and wear sandals 90% of the year. This product allows me to easily give myself a pedicure. I no longer have to get a professional prdicure which will save me money and time. This product is easy to use and I highly recommend it. I purchased this product at a discounted price in exchange for my honest and unbiased review. Wintergreen Essential oil is made by steam distilling the leaves of the plant. 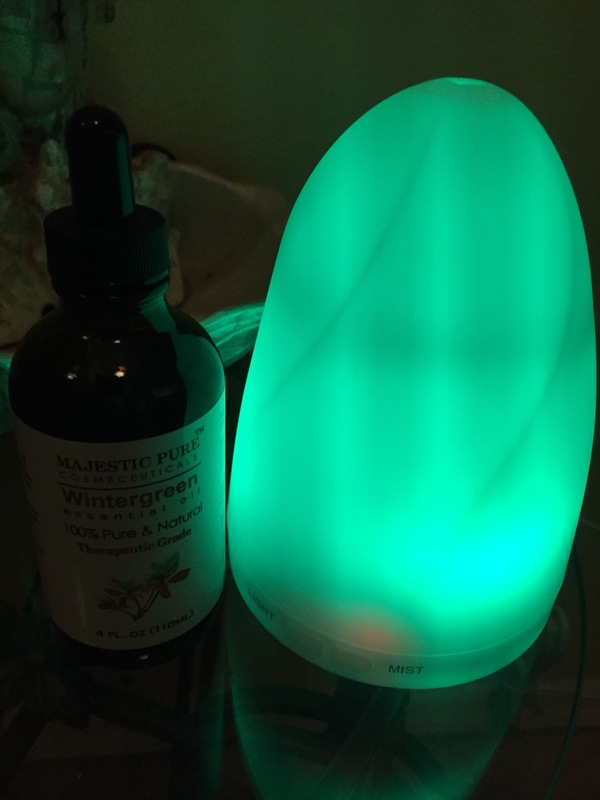 Wintergreen oil is one of my favorite essential oils. You can find wintergreen in chewing green and many natural rootbeers. Manufacturers have a certain way to use wintergreen in toothpaste, candies, chewing gum, natural rootbeers and other food and beverage items. Wintergreen essential oil is not to be taken internally. Wintergreen is only to be used externally. Wintergreen essential oil can help sooth aches and pains in your muscles and joints. You only need to massage a small amount into the area. Wintergreen oil has a warming effect when applied to your skin and thenmassaged to relieve muscle tension. You can also massage a small amount of the oil onto your neck and shoulders to help lessen headaches and neck tension. To help you breath better when you have a head cold you may put a few drops of Wintergreen essential oil along with water in a diffuser. You can also use the oil in a diffuser to help lessen stress or tension and also to help reduce pain. Wintergreen essential oil is not recommended for use by pregnant women or small children, anyone with a history of seizures or anyone who is aspirin sensitive. I really enjoy putting several drops of essential oil into my diffuser and have it on a small glass table right outside my bedroom door. The scent travels into my masterbedroom and into the living room. When I run out of this essential oil I will be sure to reorder it.